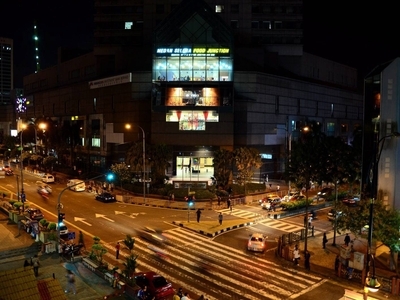 Can be improved: Jalan Wong Ah Fook in downtown Johor Baru will undergo major redevelopment work under the Johor Baru city centre transformation plan. JOHOR BARU: The Iskandar Regional Development Authority (Irda) will ensure minimal disruptions and inconvenience to the people when the Johor Baru city centre transformation plan kicks off this year. Chief executive officer Ismail Ibrahim said the RM1.8bil project was expected to start by the middle of the year or by the end of the year and would take between five to seven years to be completed. “The main objective of the project is to transform Johor Baru city centre into a vibrant place for working, living and doing business,” he said in an interview with StarMetro. Ismail said ‘vibrant’ indicated activities that would generate an influx of people into the city centre, throughout the day. He said this could be done by turning heritage buildings or those with attractive architectural elements into offices, food and beverage outlets and boutique hotels. The same would apply to residential properties, condominium towers, office blocks and retail centre. Ismail said it was vital to redevelop and rejuvenate Johor Baru city centre in line with its status as one of the five flagship development zones in Iskandar Malaysia. He said there was a need to put a proper management plan, which would be a guideline not only for Irda, but also for other stakeholders involved in the project. These included the Federal and Johor governments, land owners, businessmen operating within the city centre, non-governmental organisations and community leaders. “Every one has to embrace to the management plan, otherwise we will not be able to see seamless transformation as we go along,” added Ismail. He said the roadmap of the project has to be monitored during the progression and development period to ensure that every thing that has been planned work accordingly. Ismail said there would definitely be hiccups here and there, and the roadmap must be flexible enough to adopt and absorb to changes as the project went along. He said the city centre transformation project was more challenging as all parties involved would be working on brown field instead of green field. He said Irda would look into the traffic management issue from day one of the project or else the situation would be chaotic for people and businesses within the affected areas. “We hope everybody will fully cooperate with us to ensure the project’s success and welcome constructive views or opinions for our benefit,” said Ismail. The redevelopment project covers 485.62ha area with the city central area including Jalan Wong Ah Fook, Bukit Timbalan, the former sites of the Lumba Kuda low-cost flats, the former Tanjung Puteri Lorry Customes complex and areas within the Johor Zoo, Ayer Molek prison and Hospital Sultanah Aminah.